"This page is under construction. More pictures will appear shortly." But Real Life (TM) has got in the way, so it will take some more time. 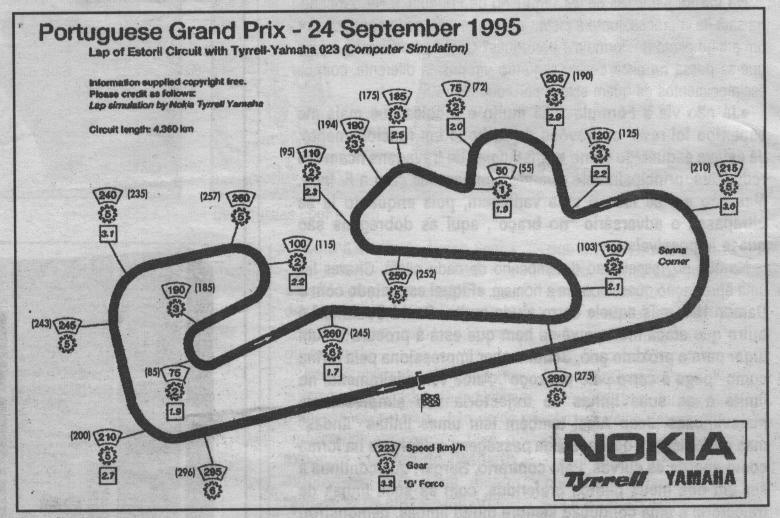 These pictures were taken during a test session at the Estoril track (13-12-1995). 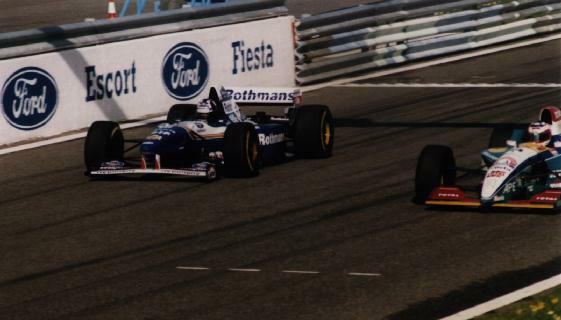 There were five teams present: Arrows, Benetton, Ferrari, Jordan and Williams. I used Fuji Super G 400. The lens used was a 100-300mm f/4.5-5.6 sometimes with a noname 2x manual focus teleconverter. 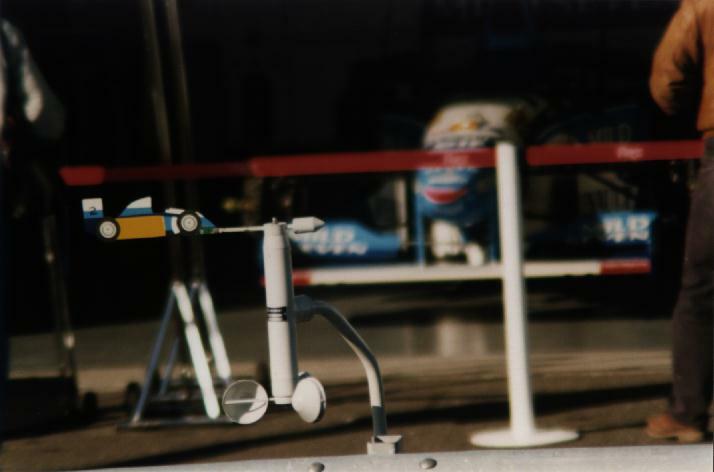 The 3 top-teams had anemometers to measure wind speed, but only the Benetton was worth a photo. 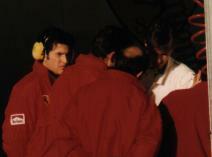 Eddie Irvine (dressed in white) talking with the Ferrari engineers. This photo was taken in the morning. In the afternoon Irvine crashed once. Notice the flames in the William's exaust ? I was surprised that the Benetton with the exact same engine didn't had that, but then I remembered that the gearboxes are made by the teams and, during gear changes, the gearbox controls the throttle. Another impressive thing is the very short braking zone. I know that at the end of the main straight the cars slow from 300 km/h to 200 km/h. But they do it very fast ! Some quick calculations show that a F1 car is capable of decelerate from 300 km/h to 200 km/h in 0.6 - 0.7 seconds.